It's that time of year once again. October 31st. 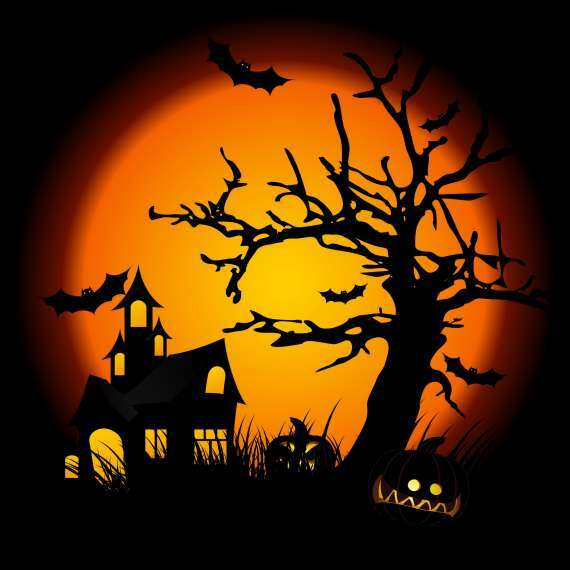 Halloween Sayings from the writers at My Word Wizard are sure to put you in a trick-or-treat mood. There'll be lots of ghosts and goblins, and witches and such, but just make sure you don't eat too much - candy that is! Halloween is a great time to show off your holiday spirit, as well as your best costume! And it never hurts if you can come home with a bounty of sweets. Our collection of trick-or-treat sayings and jokes take a playful look at a yearly institution. We think you will enjoy this very special assemblage of holiday themed adages and funny little quips. Enjoy the holiday and remember, only trick-or-treat from people you know. Halloween is the ghoulest holiday of them all. Trick or treat, smell my feet; give me something good to eat! This year Halloween is sure to be a tricktackular time! It’s time to put on our costumes and go haunting for candy! Halloween comes but once a year, you’ll get lots of candy so have no fear. Why is it so hard to find a sales person on Halloween eve? Because they always have a skeleton staff! What did the vampire say to the werewolf? Stop fanging around and get a job! Meet my friend Frank N. Stein. He's always dressed for Halloween! What did the baby goblin say to the trick-or-treaters? Boo-Hoo! Why do zombies love the winter? Because they can catch a death of a cold! Who will scare you on Halloween and then make hot dogs for her kids? A mummy! Why was the vampire so conceited? Because he was rather vein! Why are goblins so good in baseball? They love to play with bats! If you don’t wear a costume on Halloween, you are sure to have a horror-ble time! Why did the vampire stay home for Halloween? He couldn’t stop coffin! This is going to be the most unbelieva-boo Halloween ever! Did you hear about Ghost Airlines? They won’t take off until everyone takes their sheets! Are you a Halloween lover? Our editors are always looking for new Halloween sayings to add to our collection. Submit your entries by clicking the "contact us" link at the bottom of this page.